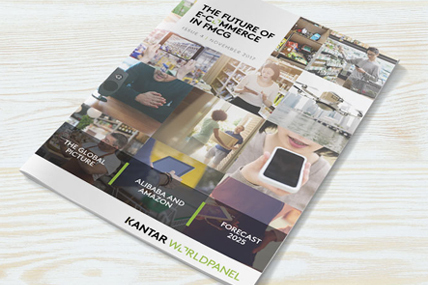 According to the 2018 edition of Kantar Worldpanel’s Brand Footprint report, there are 17 FMCG brands that are chosen by consumers more than one billion times a year globally. The Brand Footprint rankings measure which brands are being bought by the most consumers the most often. Coca-Cola is the world’s most chosen brand, picked from the shelves 5.8 bn times in a year. Colgate and Maggi both achieve podium positions, being also the world’s most chosen personal care and food brands. Colgate is the only brand chosen by more than half of the global population—with 62% penetration globally1. Maggi is the fastest-growing Top 50 brand with a global presence—with 14% growth in Consumer Reach Points (CRPs)2, which has helped the brand to rise one position to become third in the ranking this year. Six out of the 17 brands chosen more than one billion times in a year are owned by Unilever, which leads the manufacturers ranking with 36 bn CRPs per year. Unilever’s portfolio includes Lifebuoy in 4th position and Sunsilk and Knorr among the Top 10. Dove, Lux and Sunlight are also Unilever’s brands in the billionaire club. Two Pepsico brands, Lay’s and Pepsi, jointly with Nescafé and Indomie – Indofood’s very successful brand in Asia and Africa – made the remaining positions in the Top 10. Nestlé, P&G’s Downy, Palmolive and Sprite are the other brands that join this year the exclusive club of global brands chosen by consumers more than one billion times annually. Table 1. The 17 billionaire brands in the global FMCG brands ranking revealed by the Brand Footprint report. The study also shows that local brands grew in 2017, taking 64.6% of all brand spend, versus global brands’ 35.4% share, with every 0.1% gained now worth $500 million. This highlights the continued march of local brands winning share from the global players. 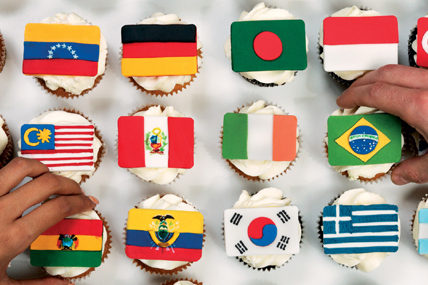 Kantar Worldpanel’s annual Brand Footprint study is based on research from 73% of the global population; a total of one billion households in 43 countries across five continents—covering 75% of the global GDP. 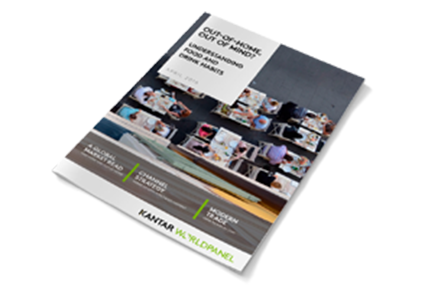 As part of the study, Kantar Worldpanel tracks more than 18,000 brands across beverages, food, dairy, health and beauty and homecare. 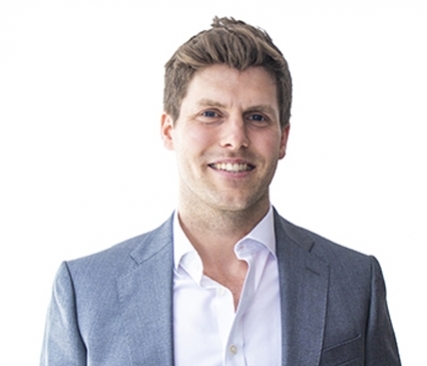 Kantar Worldpanel’s annual Top 50 ranking of the world’s most-chosen FMCG brands reveals which brands are achieving global success, providing insights to help FMCG brands set global targets more accurately and improve their global business growth. It is set apart from other brand rankings by providing information on real consumer behaviour rather than attitude. Consumer Reach Points (CRPs) form the basis of the ranking. An innovative metric that measures how many households around the world are buying a brand (penetration) and how often (consumer choice), it provides a true representation of shopper choice. To access the full global, regional, country and sector rankings and a complete index of the brands included in the Global Top 50, please visit www.kantarworldpanel.com/brandfootprint. This year’s ranking analysed more than 18,000 brands and 1 billion households in 43 countries across five continents, in the 12 months to November 2017. 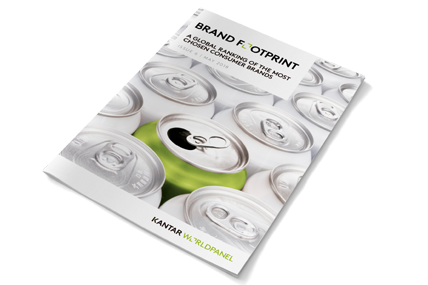 The Brand Footprint publication is a Kantar Worldpanel initiative, and the ranking is created in collaboration with IMRB in Bangladesh and Sri Lanka, with GfK in Germany, Russia, Italy and South Africa, and with IRI in the US. Download the report and explore the microsite through the links in this page. Also, you can watch the webinar here. 2Consumer Reach Points (CRPs) form the basis of the ranking. A metric that measures how many households around the world are buying a brand (penetration) and how often (consumer choice), it provides a true representation of shopper choice.